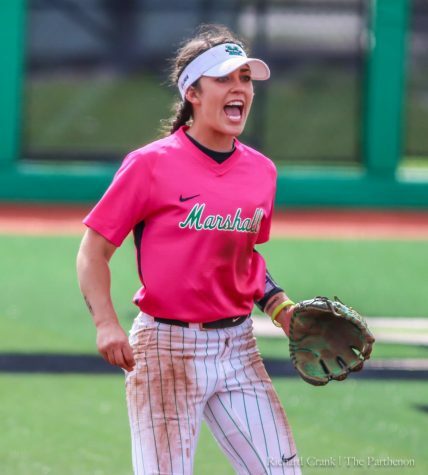 An eight-run inning on Saturday and a walk-off win on Sunday gave Marshall softball the series win over Western Kentucky at Dot Hicks Field. Overall, the Herd is 25-13 and 8-4 in Conference USA, which puts them at second in the East Division. WKU is 27-8 and 10-2 in C-USA and in first place of the East Division. Coming off of an injury that caused her to miss 30 games, sophomore outfielder Rachel Rousseau was the contributing player in both of these situations, hitting a grand slam in game one and the walk-off in game three. 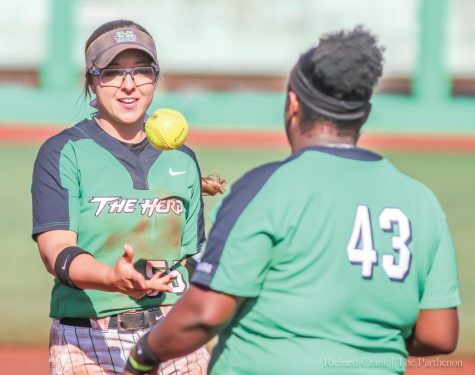 In game one, a fourth inning homerun from sophomore first baseman Aly Harrell put the Herd on the board first. In the fifth inning, junior infielder Sierra Huerta was hit-by-pitch and was able to advance to third with senior catcher Hayden Ellis up to bat. Huerta scored on a triple to left-center from Ellis. WKU answered by scoring two in the top of the sixth. Down 2-1 in the bottom of the six, junior infielder Blakely Burch singled to right field then stole second. Harrell was intentionally walked; freshman outfielder Rachel Pennington pinch ran for Harrell. 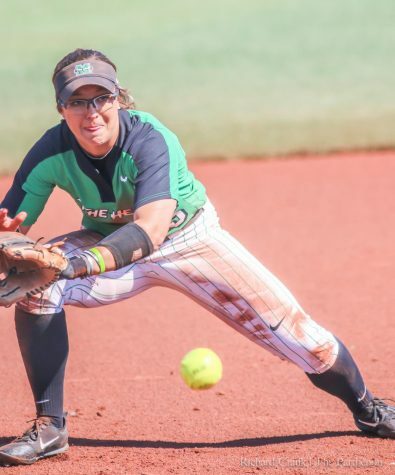 Senior infielder Briana Daiss singled to left field, advancing Burch and Pennington. Huerta was hit by a pitch, scoring Burch and the Herd took the lead 3-2. Rousseau hit a grand slam scoring Pennington, Daiss and Huerta. 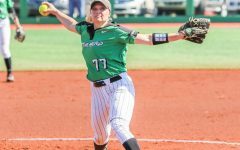 Herd led 7-2 over WKU. 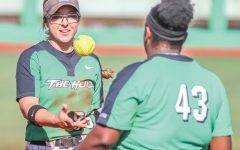 Freshman outfielder Mya Stevenson tripled; senior Abigail Estrada pinch ran for her. Estrada scored on an Ellis double to left center to give the Herd an 8-2 lead. Sophomore infielder Armani Brown reached first on a single and stole second on a throw that allowed Ellis to score. This run extended the lead to seven. Senior outfielder Hannah Giammarino drove home Brown on a right-center hit, winning 10-2. 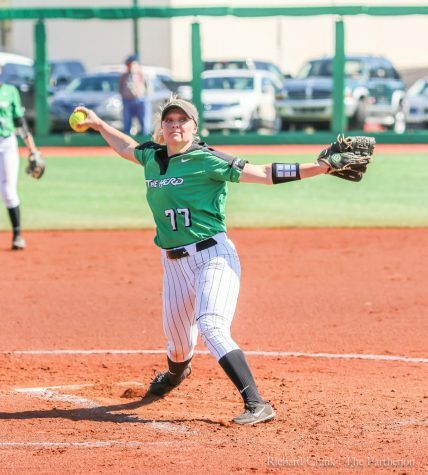 Senior pitcher Abigail Tolbert earned her 16th win in the circle by only allowing two hits and had four strikeouts. 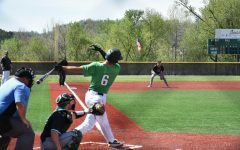 The Herd fell in game two, 7-1 due to offensive struggles. Junior pitcher Kailee Williamson pitched all seven innings and recorded the loss. 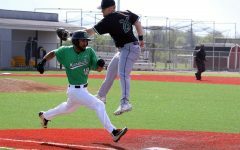 The Herd took game three and the series, 8-7 in an extra inning on Sunday. Rousseau just added to the fire that she started the first game. 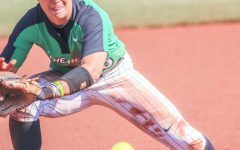 She had the walk off, solo homerun in the bottom of the eighth inning that gave the Herd the win. She finished 3-for-5 at the plate. WKU scored two runs early but Marshall retaliated in the bottom of the inning with three runs. Burch was hit-by-pitch, followed by three walks; Harrell, EIlis and Adams scoring Burch. Herd down 2-1. 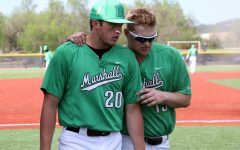 Huerta was hit-by-pitch scoring Harrell, Herd tied 2-2. Daisws wrapped up the inning with a single that scored Ellis. Herd led 3-2. The Lady Toppers tied the game at three with a solo homerun. Burch doubled and scored on a Rousseau single, going up 4-3. WKU retook the lead with two runs in the fifth and another in the sixth, 4-6. To start the bottom of the sixth inning, Giammarino reached first on an infield error. After a Brown hit that turned to an error, Giammarino reached third and Brown reached second. Burch followed with a homerun over center field to score herself, Giammarino and Brown. Marshall led, 7-6. WKU tied the game in the top of the seventh inning. The Herd was unable to score sending the game into overtime. In the bottom of the eighth inning, Rousseau took one over left-center to win the game. Tolbert started the game and pitcher the first five innings, Williamson started the sixth and earned the win. Things to note from the WKU series: Huerta broke the record for being hit-by-pitch at 16 and then she extended that record to 18. Aly Harrell hit her 11th homer of the year. She is now 10th all-time in program history with 22 home runs. 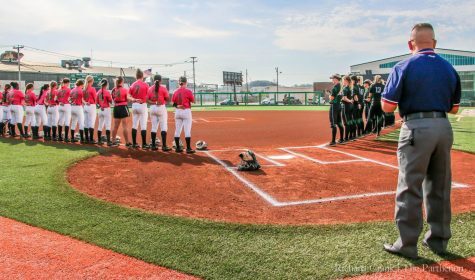 Marshall is set to start its next series against FIU in Miami, Florida on Saturday at 4 p.m.